HERNDON, Va., Aug. 12, 2011 -- In partnership with National Security Technologies LLC (NSTec), Northrop Grumman Corporation (NYSE:NOC) continues to support the education of future United States service members through the Department of Energy's Military Service Academy Internship Program. This year's program was sponsored by the National Nuclear Security Administration (NNSA) and was led by Brig. Gen. Sandy Finan, U.S. Air Force, and included seven cadets and midshipmen from all three military service academies. "We are very grateful to General Finan and the NNSA for all their hard-work in not only supporting, but growing this important program," said Dr. Ping Lee, director of the National Center for Nuclear Security. "The Military Service Academy Internship Program provides collaborative research opportunities to foster integrated approaches to meet the technical needs of the warfighter for today and tomorrow." NSTec hosted the cadets at the Nevada National Security Site near Las Vegas as part of its evolving engineering and science program. 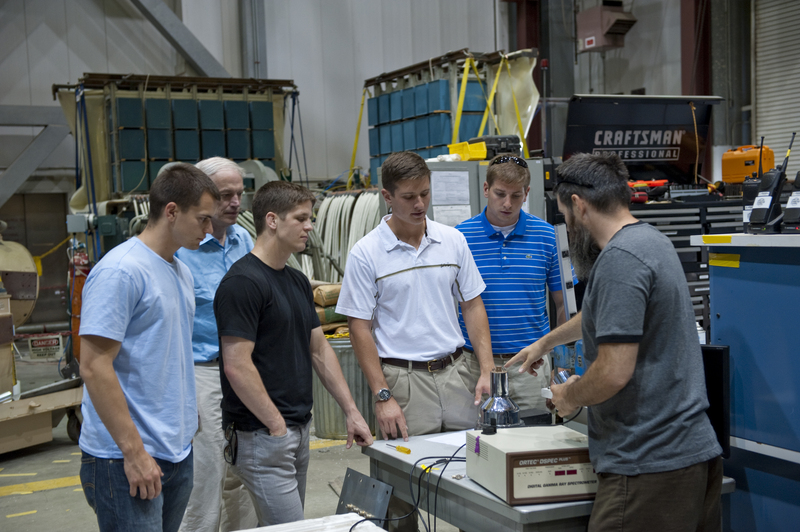 The cadets are given an opportunity to receive real-world experience with the active and passive interrogation of radioactive materials, nuclear detection systems, and data analysis of the fusion process and products of the fusion process. "We find this a valuable program for the Naval Academy and we look forward to its continuance into the future," said Marty Nelson, a professor at the U.S. Naval Academy. NSTec operates and manages the Nevada National Security Site for the NNSA and has invested more than $1 million in education grants focused on science and engineering support. The scientific program supports the Comprehensive Test Ban Treaty of 1996 and the administration's focus on treaty verification, and has expanded during its initial four years. Eleven U.S. Naval Academy midshipmen, six U.S. Air Force Academy cadets and eight U.S. Military Academy cadets have completed internships since the program's inception three years ago. For more information on the Department of Energy's internship program contact www.nv.doe.gov or contact NSTec at www.nstec.com .